Spring means the return of simple food, fresh ingredients from the farmer's market. 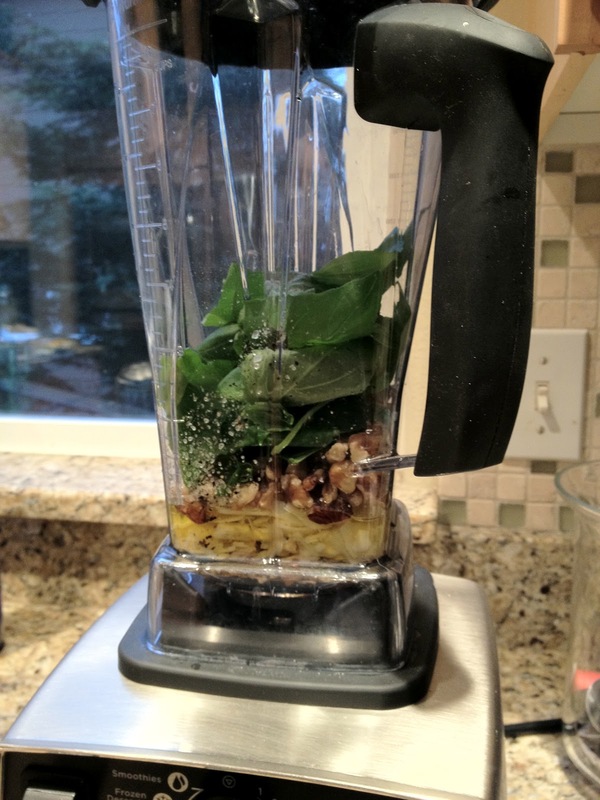 This week I bought basil and garlic and made a light, vibrant pesto that made for one very happy dinner. Add all ingredients to a blender and mix for 1 minute. You can also use a food processor but I've found that by using a blender the pesto has a smoother quality. Traditionally pesto is made with pine nuts but try experimenting with different nuts. Walnuts and pistachios are wonderful in pesto. If possible, shave your own parmesan or buy shaved parmesan from your local market. To incorporate the pesto into the pasta, toss them together in a bowl before serving. This will coat each piece of pasta in the sauce. To use immediately, while your pasta is boiling, warm the pesto on low in a saute pan, stirring often. 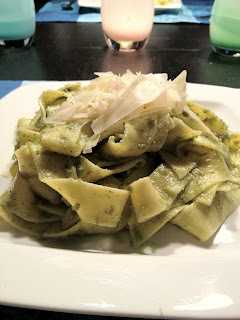 Paparadelle pasta is excellent with pesto.